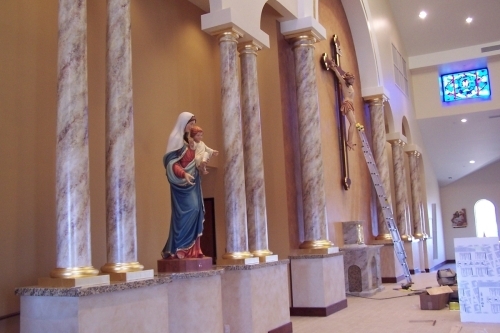 Columns were painted to match granite altar. 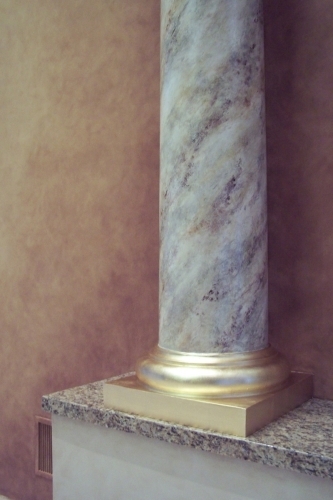 Capitals and bases were treated with gold leaf. 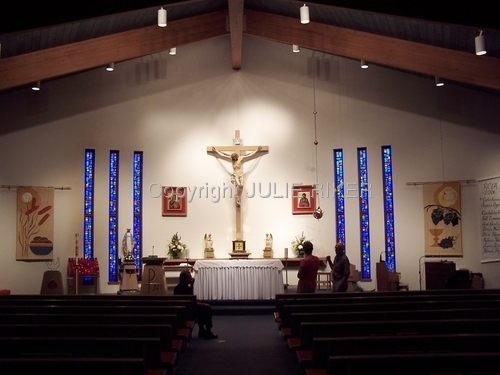 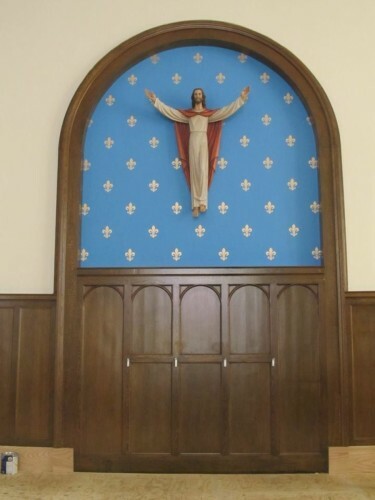 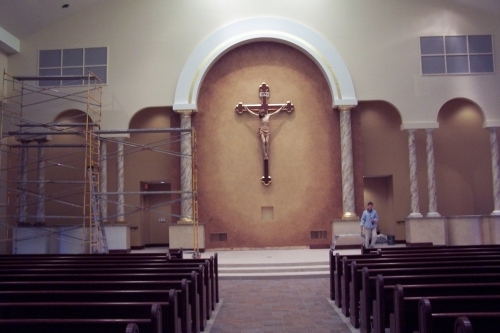 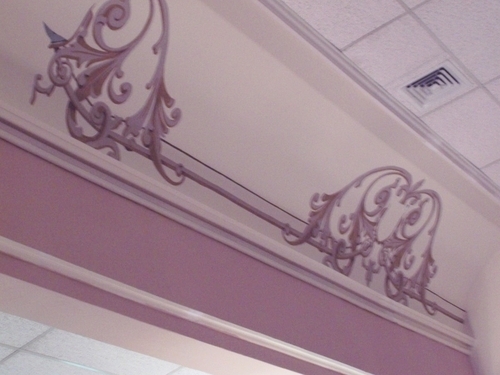 Sanctuary wall was glazed in soft gradation to highlight the crucifix. 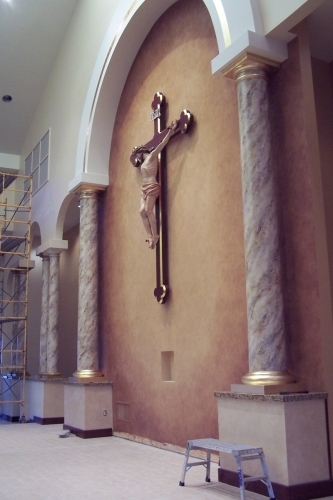 Columns were faux painted to match granite altar, and capitals, bases, and presidium arch were highlighted in gold leaf. 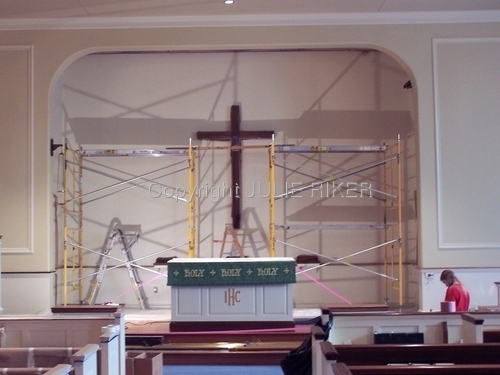 Prior to painting, the Sanctuary wall was cluttered, with many smaller elements taking attention away from the crucifix. 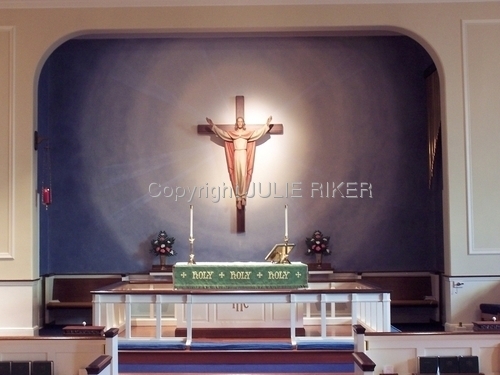 Designed and executed finish for area behind altar to create defined area for crucifix. 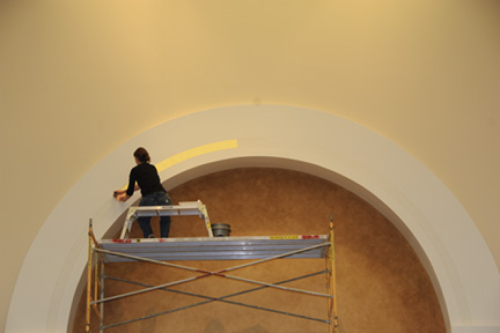 Finish was created with several shades of gold to create a mosaic effect. 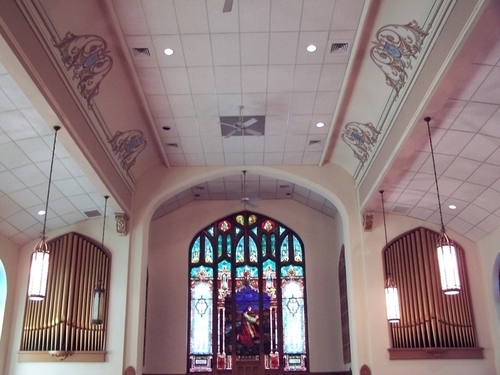 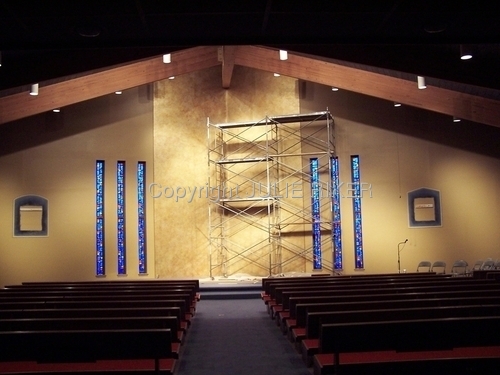 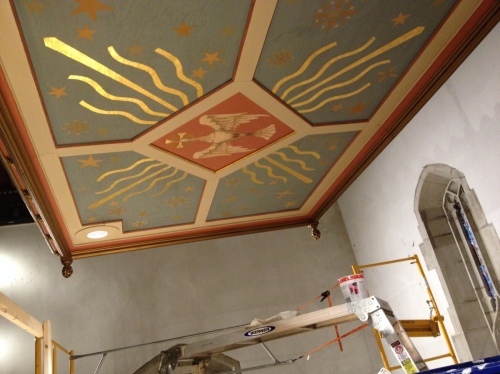 Sanctuary wall was painted using gradating shades of glaze to create the illusion of light radiation out from the cross. 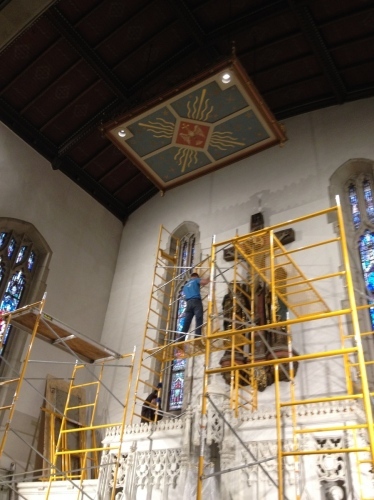 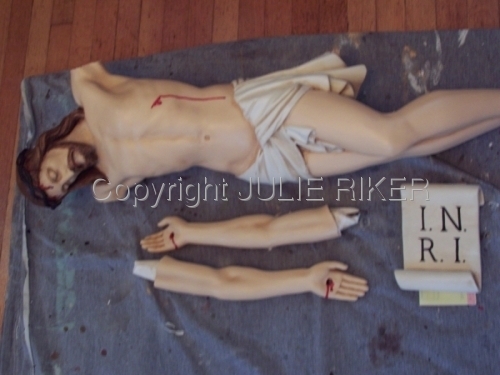 12 Shields of the Apostles were repainted in cove area after original artwork was badly damaged.